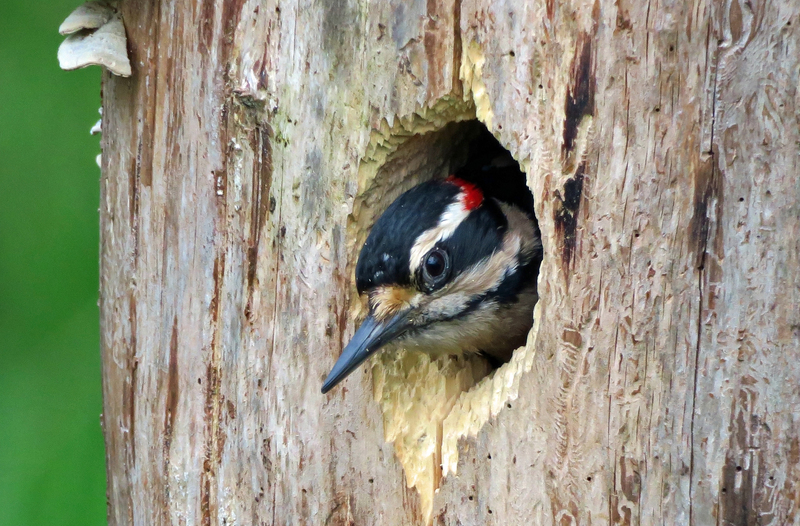 Shows » Why Do Downy and Hairy Woodpeckers Look So Similar? 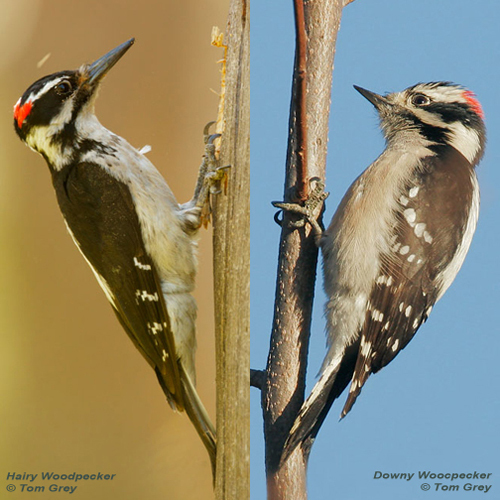 Why Do Downy and Hairy Woodpeckers Look So Similar? 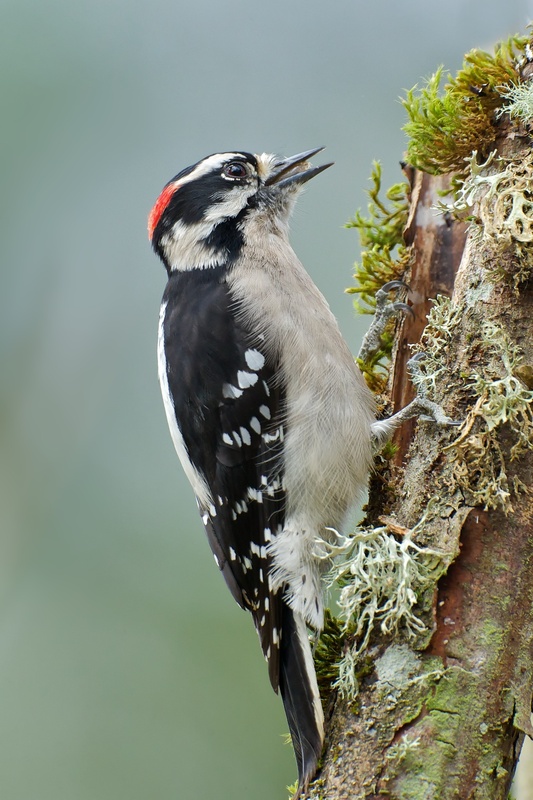 Generations of birders have puzzled over how to tell Downy Woodpeckers from Hairy Woodpeckers. The two species’ patterns of black and white feathers are so alike that it was long thought they were the closest of relatives. The two live in similar woods, nest in similar trees, and eat many of the same things. However, DNA testing has shown these birds to be quite different! 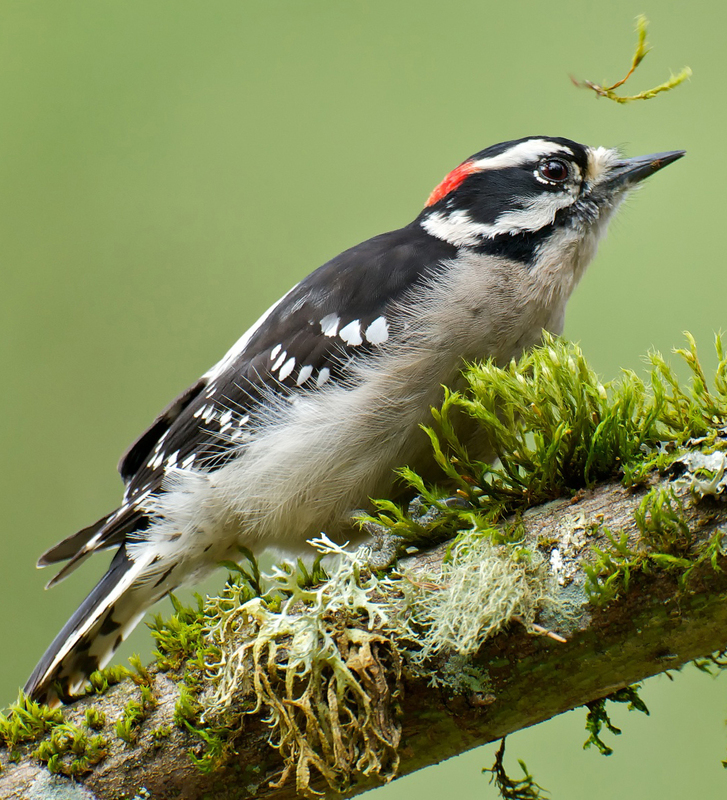 Generations of birders have puzzled over how to tell Downy Woodpeckers from Hairy Woodpeckers. The two species’ complex patterns of black and white feathers are so alike that it was long thought that they were the closest of relatives. However, DNA testing has shown these birds to be quite different. Hairy Woodpeckers are actually more closely related to birds such as the White-headed Woodpecker, which looks very different. 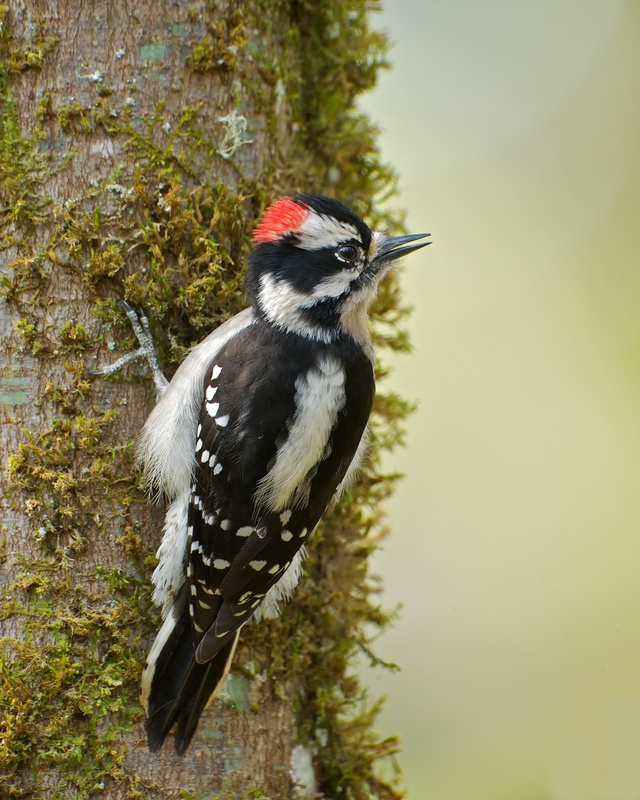 Downy and Hairy Woodpeckers may not even belong to the same genus. It raises an intriguing question: Why would two birds so distantly related evolve nearly identical markings? Some think the woodpeckers look alike because they share the same ecological niche. The two live in similar woods, nest in similar trees, and eat many of the same things. Others suggest the smaller Downy Woodpecker may gain a kind of “stealth” advantage by looking like the larger Hairy. In a competitive “who eats first” situation—like at your backyard feeder—the Downy’s appearance may cause other birds to stand back from what, at first glance, looks like the more physically powerful Hairy Woodpecker. But whatever the adaptive history, confused birders will continue to ask, “Is that a Hairy? Or a Downy”? Bird sounds provided by The Macaulay Library of Natural Sounds at the Cornell Lab of Ornithology, Ithaca, New York. Recorded by WL Hershberger and B Mcguire.